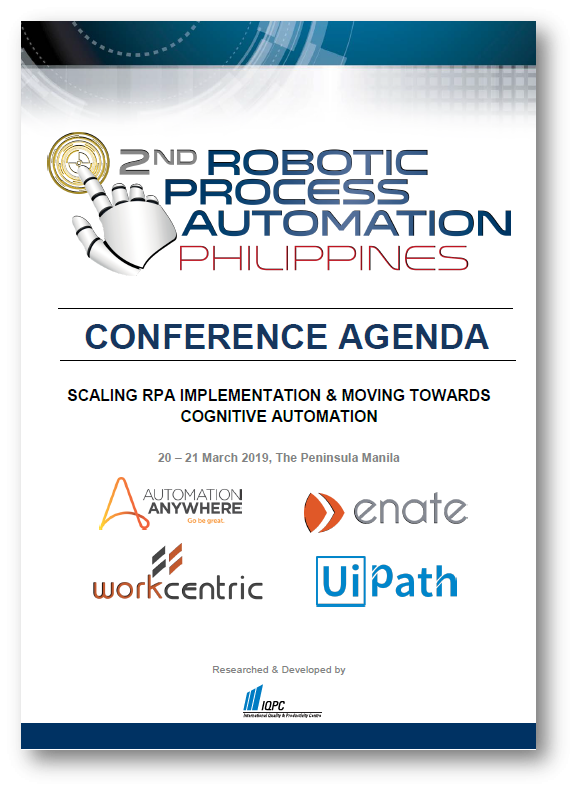 We are excited to present the event brochure of the 2nd Robotic Process Automation Philippines, set to return in Manila on 20-21 March 2019. Join us to learn how your organisation can scale up your RPA implementation and integrate cognitive capabilities to RPA bots to drive continuous RPA success. Join us this March, as we provide you with an unrivalled platform to effectively review your RPA deployment strategy – covering topics ranging from how to overcome implementation challenges, improving RPA results through simplifying core processes, re-designing work to enhance productivity, preparing for enterprise-wide deployment, and case studies lending insights on how you can begin your intelligent automation journey! Download the brochure to see the full agenda and speakers' line-up!